When will be Jacques Pepin's Heart & Soul in the Kitchen next episode air date? Is Jacques Pepin's Heart & Soul in the Kitchen renewed or cancelled? Where to countdown Jacques Pepin's Heart & Soul in the Kitchen air dates? Is Jacques Pepin's Heart & Soul in the Kitchen worth watching? Duck liver mousse with apples; sauteed duck breast with arugula salad and cracklings; vinaigrette; lemon mousseline. Black lentil salad with eggs; pork neck and bean fricassee with fresh vegetables; spinach and ricotta lasagna paired with red wine. Simple seafood salad; spicy shrimp with cocktail sauce; Creole-inspired blackfish beignets with spicy sauce. Salmon scaloppini with sorrel sauce; lamb breast navarin; green salad with mustard dressing; coffee panna cotta. 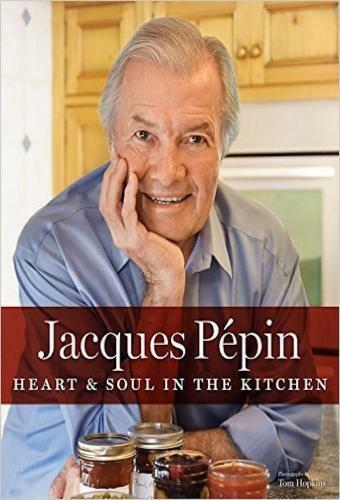 Jacques Pepin's Heart & Soul in the Kitchen next episode air date provides TVMaze for you. EpisoDate.com is your TV show guide to Countdown Jacques Pepin's Heart & Soul in the Kitchen Episode Air Dates and to stay in touch with Jacques Pepin's Heart & Soul in the Kitchen next episode Air Date and your others favorite TV Shows. Add the shows you like to a "Watchlist" and let the site take it from there.